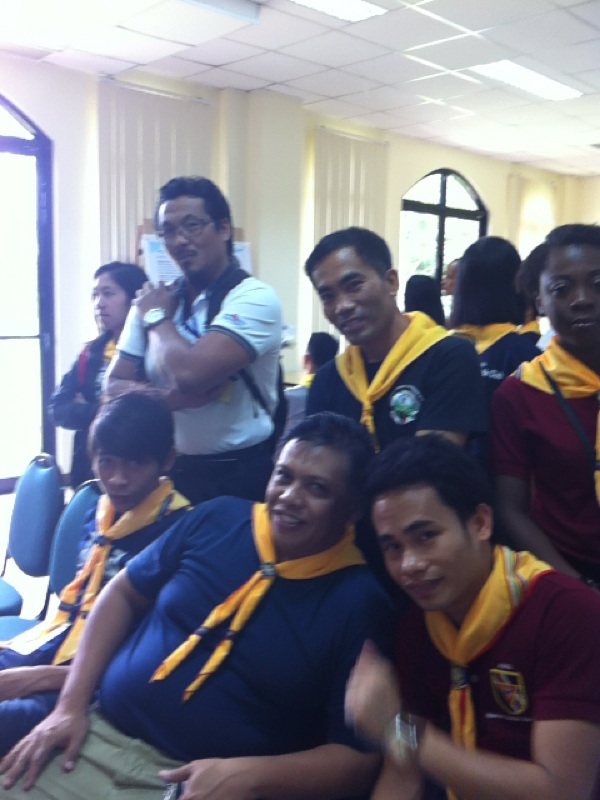 This section contains my activities leading and participating in different youth groups. Global Youth Day 2014 (GYD14), is a day when the young people of the Seventh-day Adventist Church from all over the world went out on March 15, and did Compassion Acts for the people in their communities. There was a livestream that was being shown globally where the youth were supposed to report to everyone else what they were doing, and each country had a specific time slot. The command center, located in Germany, later revealed that they considered it impossible to for Manila to be able to do a livestream, but somehow, the live images came through just 10 minutes before the alotted time. The writer of this article tried to capture the emotion of the organizers of GYD14- Manila. These young people, though lacking experienced, were able to produce a successful program despite so many challenges that came about. And they give back the glory to God. "Guys, its live! We're live. Show it now... show it now!" This slightly panicked voice belonged to Russel “Roy” Acab, the Media Coordinator for the Southern Asia-Pacific Division (SSD) Global Youth Day (GYD) as the clock turned 3:00pm. Members of the technical team crossed their fingers as the video equipment sent live images of Manila to Stimme der Hoffnung, a media center in Germany, which then streamed it off to the rest of world. It was SSD's turn to be on the livestream of Hope Channel. The newly bought LTE equipment, which kept producing unstable internet connection, finally smoothed out only four minutes before the scheduled time and enabled us to connect with Germany with just a few seconds to spare. Everyone behind the scenes in Harbour Square, Manila, was silently praying that everything would go smoothly for the next two hours so that SSD could show the Acts of Compassion that its youth were doing to "Be the Sermon" in that part of the world. 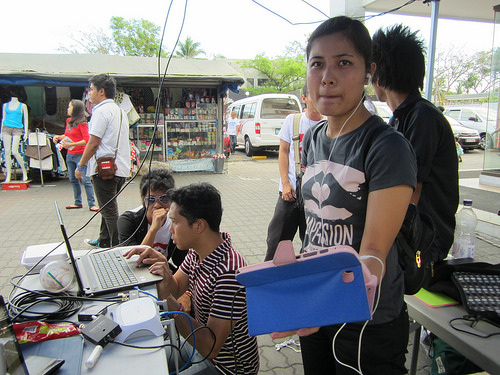 Christine “Tin” Gonzaga, the GYD Programming Coordinator, was speaking tensely into her phone, her tiny frame almost lost amidst the crew setting up the stage. Looking down at her watch, she shook her head as she began striding towards the exit of Harbour Square to flag a taxi. Over 80 “Acts of Compassion” were currently being implemented by the Seventh-day Adventist young people all over Metro Manila and in three hours, they would all gather in Luneta Park to being the Compassion Walk towards Harbour Square. While Tin knew she still had a lot of unchecked items on her to-do list, she was also aware that there was a big chance that nothing would go according to plan. So with a deep breath, she braced herself the onslaught of demands she knew would come while quickly thinking up contingency plans just in case something unexpected happened. One Year in Mission (OYIM) SSD and GYD Over-all Coordinator Anthony "Tony" Stanyer was standing on stage waiting for his cue to begin his opening speech. He was relieved to see that the Compassion Walk ended on time as the crowd of young people quickly thickened at the finish line right in front of him. Then at the corner of his eye, Tony sees Roy signaling him that start of the 2minute countdown. “So I’d like to invite you to say a quick prayer with me. Let’s pray that somehow the connection stays strong for the next two hours so that all who are watching through the live stream can see us clearly”. "Well, our time is up. Gilbert, it's time for me to give this ball back to you!" The viewers of the live stream saw the grinning SSD Youth Director Jobbie Yabut as he kicked the GYD14 football in the hands of his boss, General Conference Youth Director Gilbert Cangy for him to pass it on to Hong Kong for the next segment. At the same time back in Manila, a very gleeful "aaaand we're out!" followed by bouts of cheers and laughter was suddenly heard from the technical tent at the back of the youth gathering in Harbour Square, Manila as the tension that accompanied the live stream was finally passed on to the next area. It was only after the stage was cleared and the crowd dispersed did the enormity of what just happened hit the staff. "I am humbled. I had my own perceptions of what was going to happen, but the Lord knew better" said Tony when asked to describe how he was feeling, right after the program. "I had a lot of worries but when Pastor Jobbie prayed with me at around 8am this morning, I felt a calm settle on me." “I woke up extra early that morning because there were still some people that I needed to meet regarding the program. But at 8 o’clock Pastor Jobbie gathered us together and prayed for us.” Tin paused a bit. Then inhaling shakily, she continued “I teared up during that meeting because Pastor Jobbie said he was sure that everything would be alright”. "I knew one major problem we had was the faulty internet connection, but I told Tony that we would continue with the program no matter what. 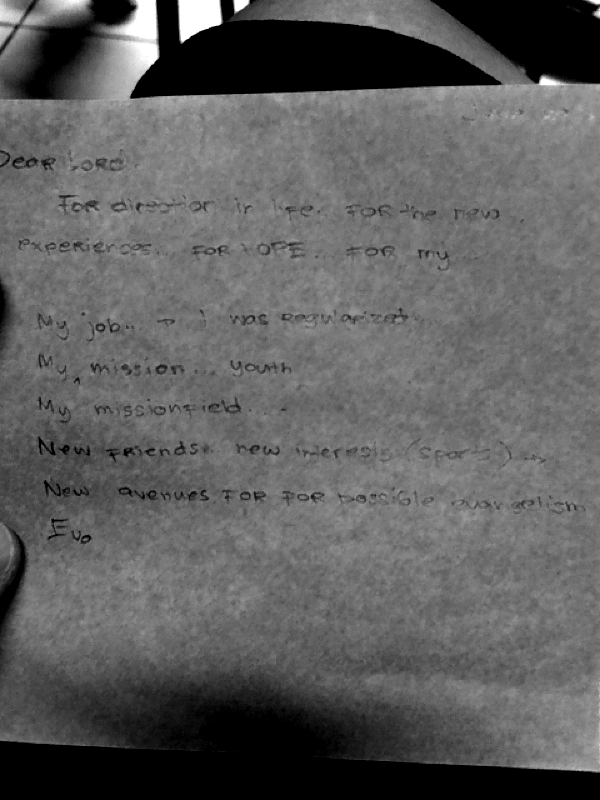 This was the Lord's program. He would provide" explained Pastor Jobbie. "I was in-charge of keeping track of the online GYD live stream on Hope Channel. As our time drew closer, my level of anxiety increased, because on we couldn't to establish a connection." 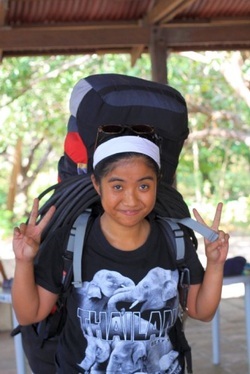 Vivemalyn “Vim” Pineda shared as she shared her own nerve-wrecking experience. "Finally, we were only able to connect with 10 minutes to spare." "We were able to establish a connection, but it was only during two-minute countdown that live stream became clear." clarified Roy. “Nothing went according to the plan. I think I traveled back and forth between Luneta and Harbour Square around three times. But I’m thankful for all the Compassion Act leaders that hugged and gave me words of encouragement when they see me run past.” Tin smiled as she recalled what she went through just a couple of hours earlier. “And somehow, everything turn out alright”. "I didn't expect everything to come together like this.” Roy laughed as he shook his head in amazement. “This week, we got the drones for the aerial shorts. The different media teams have never worked with each other before today, but it seemed that everyone was in sync. And during the live stream, we completed editing the video that featured the Compassion Acts this morning as well as the Compassion Walk earlier afternoon". "It was only the skype calls that didn't make it" he added sheepishly. "A lot of people are congratulating me, telling me what a successful program it was. But I can’t take the credit. I know the success wasn’t because of anything I did." Tony paused to take a deep breath before he finally said "It was all God." "Lord, thank you. YOU did it!" "Joel 2:28 says 'And it shall come to pass afterward, that I will pour out my Spirit upon all flesh; and your sons and daughters shall prophesy...your young men shall see visions'. Today, you will see glimpses of the fulfillment of this prophecy....This army of youth that was prophesied over is leaving the barracks... to 'Be the living Sermon'; to be the hands and feet of Jesus and bring hope to the streets of out cities, towns, and villages." - Gilbert Cangy, Facebok status, March 15, 2014, 6:52am (GMT+8). 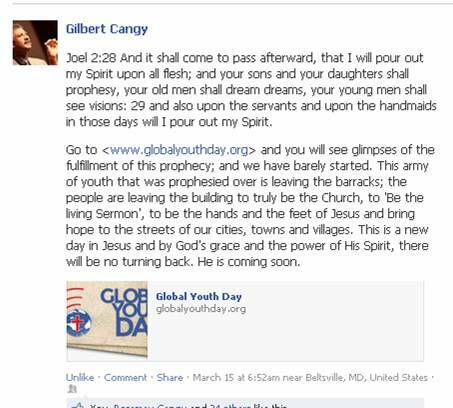 Indeed, Pastor Gilbert Cangy's hope and prayer was fulfilled. The youth indeed went out to be the hands and feet of Jesus. And we pray that this will lead to a transformation where there will be no turning back. Seventh-day Adventist church, as the time when, through the use of the internet and social, they all moved as one massive force in "Being the Sermon". P.S. 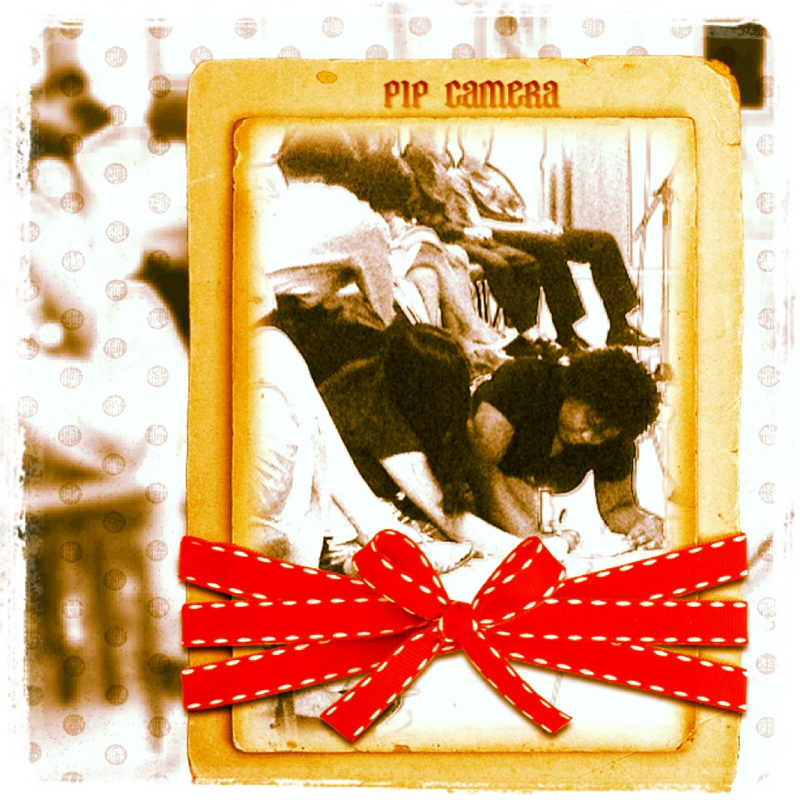 As we had the lesson study, i saw Sendelle and Francesca on the floor while answering an activity by Dr Carlos Mora. One Youth. One World. One Mission. The AIIAS Youth is trying something different this church year, and we're starting this coming Sabbath, June 29, 2013. We are going to try to unite a group that is divided by age, degree, nationality, language, skin. It has been tried many times before has only succeeded only a number of times mainly because the situation in AIIAS is so multi-cultural that it takes a long period of time to understand. be ONE YOUTH group, whose members are from all over the WORLD, unite in ONE MISSION for the LORD. So help us God. 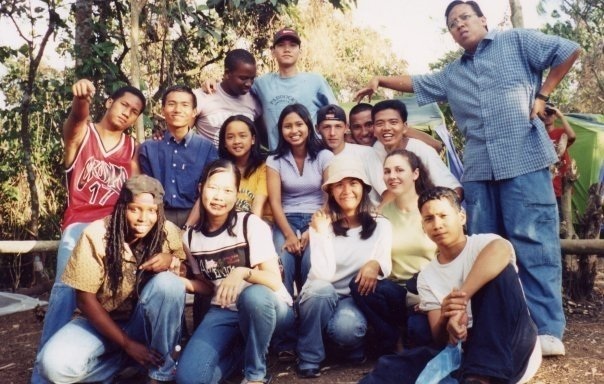 taken during the 1st ever Youth Retreat just outside the wall of the AIIAS campus... in... hmmm... 2001? taken during the Youth Retreat last 2007 in Subic. I've been hoping and praying... that through all the experiences that God has led me through, I have been properly equipped to serve Him better through the Youth Ministry. Whether it is through the AIIAS Youth, the choir, as Pathfinder Area Coordinator, or others... I pray that the the Lord will use me to further His work in this world. 2. Commitment - give youth opportunities to make that commitment to Christ, whether in structured or unstructured environments, we need to model what it is like. 3. Prayer - should be the heart of the work. We should always bring the youth to the Lord in prayer, and pray with them too. Training them through participation in group or individual prayers. 4. Personal Devotion - renew urself daily to be able to refresh yourself through daily communion with God. This can be a powerful example for the youth. Show them HOW to read through the Bible. We should always remember the tre reason why we are here. To learn more of Christ each day. 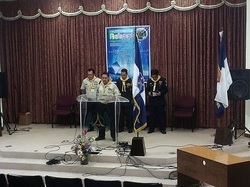 - by Sherman Fiedacan, CLC Youth Director during the Opening Ceremony, May 17, 2013. 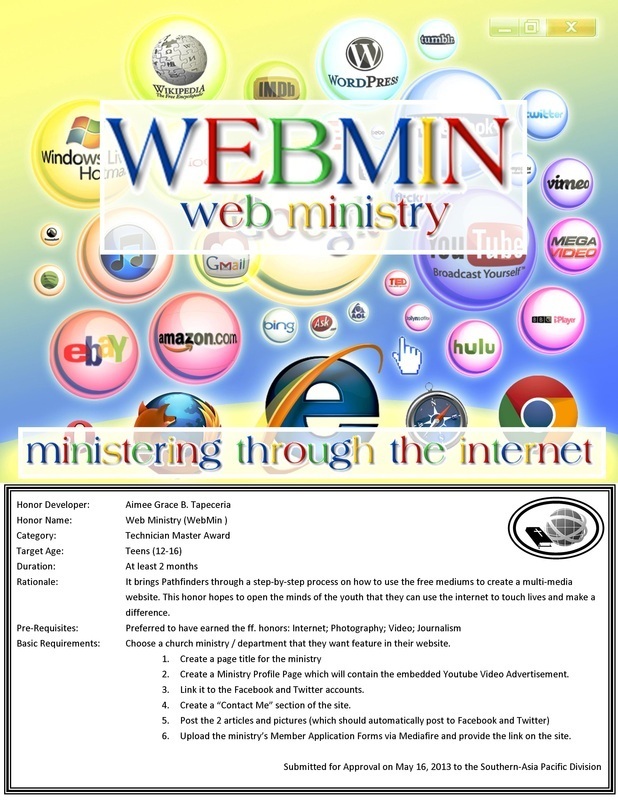 I was able to present my proposed Pathfinder honor "WebMin" during the 4th Master Guide Leadership Conference, May 19, 2013. These was a demo using my iphone to post an entry on this blog. How will they ever know. Trusting in our eternal God, who is with us still today.